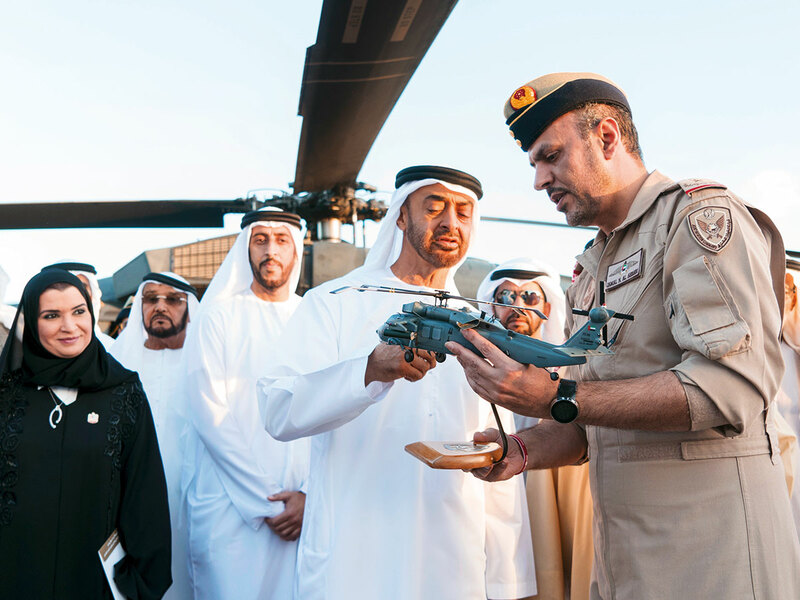 Abu Dhabi: An integrated armament system developed by the UAE for Black Hawk Striker helicopter was yesterday inaugurated by His Highness Shaikh Mohammad Bin Zayed Al Nahyan, Crown Prince of Abu Dhabi and Deputy Supreme Commander of the UAE Armed Forces. The UAE’s Advanced Military Maintenance Repair and Overhaul Centre (Ammroc) has developed the assault aircraft’s integrated armament system. Shaikh Mohammad expressed his pride in the advances made by the national defence industries, representing a vital supplier of weapons for the UAE Armed Forces. Shaikh Abdullah Bin Rashid Al Mualla, Deputy Ruler of Umm Al Quwain, Shaikh Hamdan Bin Zayed Al Nahyan, the Ruler’s Representative in Al Dhafra Region, other Shaikhs and senior officials attended the inauguration at Al Bahr Palace in Abu Dhabi. Shaikh Mohammad praised qualified national competencies and expertise in the defence industries. 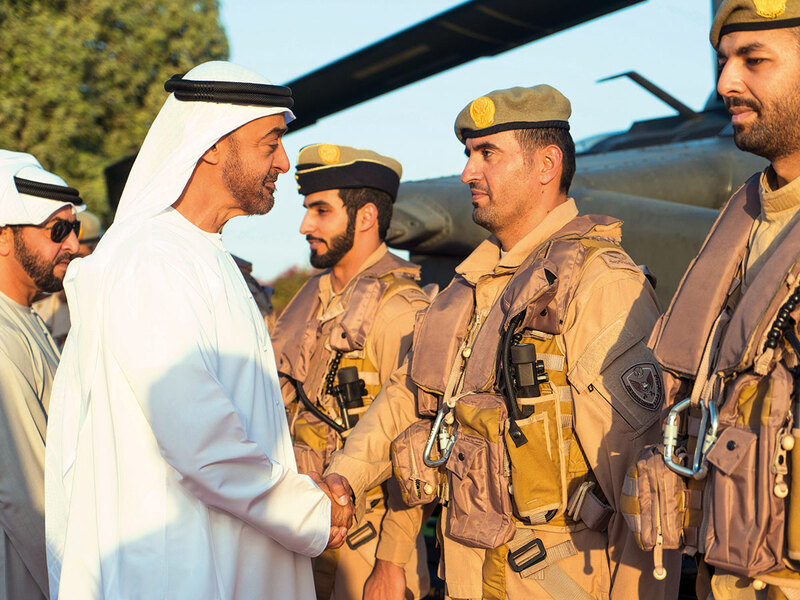 He said the UAE has been seeking to build a solid base for the military and defence industries, developed by national human resources. Shaikh Mohammad was briefed on the most important characteristics of the armament system of the Black Hawk aircraft, which has been advanced to carry all kinds of rockets, including thermal and laser-guided missiles as well as anti-armour missiles and-multi-purpose machine guns. The new amendment makes this aircraft the most advanced and sophisticated Black Hawks. Ammroc is working on developing the capacity of Black Hawk aircraft by developing its armament system, and converted the Black Hawk helicopter into a combat-assault aircraft in addition to the other operational missions. 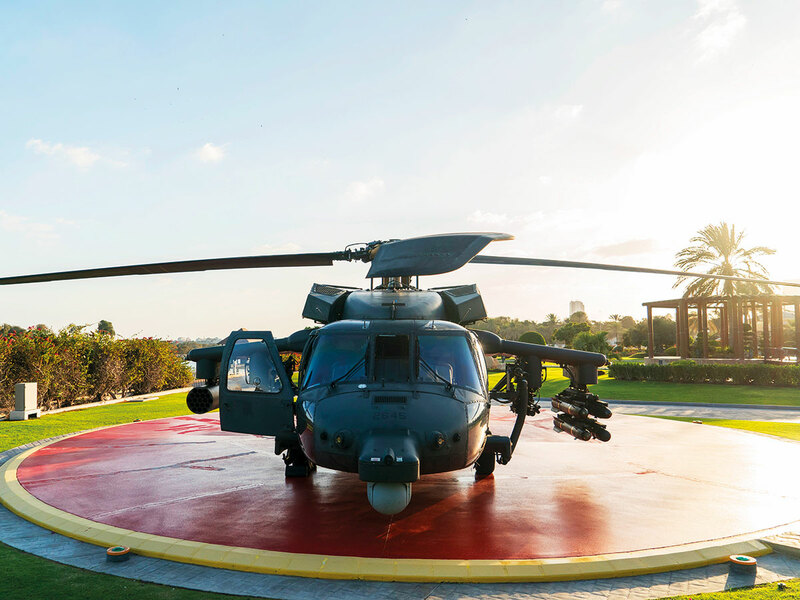 As a strategic partner of the UAE Armed Forces, Ammroc, which has the intellectual property rights and privilege of this advanced technology in the world, has so far developed six Black Hawks, and work is underway to develop more Black Hawks. This makes Ammroc, a leading company in equipping and supplying Black Hawks with assault missiles and weapons that qualify this aircraft to be ready for military operations.